Having shingles, especially at a younger age, increases your risk of heart attack and stroke (about 50% more likely to have a heart attack, and 74% more likely to have a stroke). 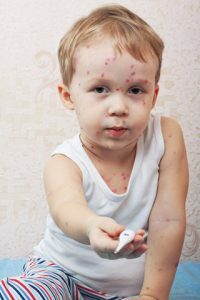 Shingles can occur in anyone who’s had the chickenpox or the chickenpox vaccine. They are actually more common in people who’ve had the chickenpox vaccine, which confers a weaker immunity, which is why it’s strongly recommended that people who get the chickenpox vaccine follow up with the shingles vaccine later in life. Varicella, the chickenpox/shingles virus, lingers in spinal fluid and is released when the immune system is weak—for most people, this happens with aging. For others, it might be triggered by a concurrent disease or other event. Keeping your immune system strong helps prevent shingles. You can also boost your immunity by getting re-exposed to the virus, via exposure to chickenpox (hard to come by these days) or the shingles vaccine. If you’ve had the shingles, especially at a young age (under 40), you should monitor and take extra care of your heart. Exercise, few (or no) fried foods, and plenty of antioxidants.